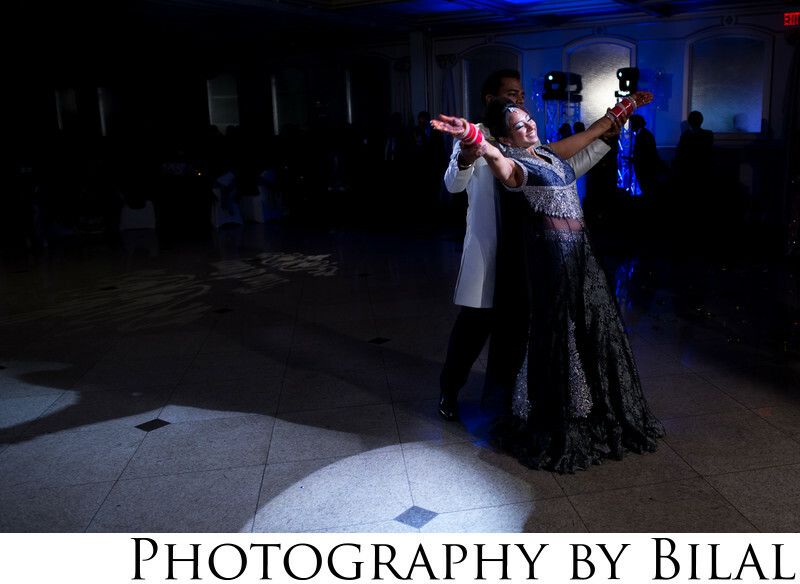 What I really like about this image is how there is a spot light effect on the bride's face, highlighting her smile as she dances with her groom. This is one of those happy moments that I strive to capture. Location: Royal Manor 454 midland ave garfield nj .